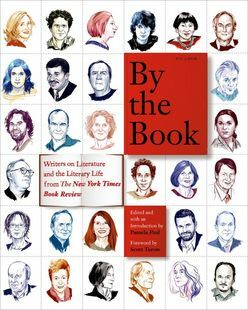 Every Sunday, readers of The New York Times Book Review turn with anticipation to see which novelist, historian, short story writer, or artist will be the subject of the popular By the Book feature. These wide-ranging interviews are conducted by Pamela Paul, the editor of the Book Review, and here she brings together sixty-five of the most intriguing and fascinating exchanges, featuring personalities as varied as David Sedaris, Hilary Mantel, Michael Chabon, Khaled Hosseini, Anne Lamott, and James Patterson. The questions and answers admit us into the private worlds of these authors, as they reflect on their work habits, reading preferences, inspirations, pet peeves, and recommendations. By the Book contains the full uncut interviews, offering a range of experiences and observations that deepens readers' understanding of the literary sensibility and the writing process. It also features dozens of sidebars that reveal the commonalities and conflicts among the participants, underscoring those influences that are truly universal and those that remain matters of individual taste. For the devoted reader, By the Book is a way to invite sixty-five of the most interesting guests into your world. It's a book party not to be missed. Sixty-five of the world's leading writers open up about the books and authors that have meant the most to them.